Unique Easter baskets for kids are as fun to send as they are to receive. Will you be sending a loved one a unique Easter basket this year? Better hurry, it’s almost Easter. These Easter baskets are pre-filled, so you don’t have to worry about running around town grabbing the items you want to fill the basket with. Everything is done for you and ready to be sent out. Do you want it to be sent to your home or do you want it sent across the nation to a dear loved one so far away? Either way, it can happen. The hardest part of picking out the perfect Easter basket for them is choosing the items to put inside. Would you like it filled with more toys and plush bunnies or more candy? Every home usually has their own rules about candy verses toys. You might want to check before you send the wrong one. Little Blue’s Easter Basket is filled with …. 6 pieces of spring colors sidewalk chalk. Jacks and ball game set. Easter Egg buddy filled with candy, milk chocolate bunny. Wow…..that is a huge Easter Basket for any little boy. This will please the parents that want more toys than candy, and it will thrill the little boy it is a gift for. A Pretty Little Princess Easter Gift Basket for Girls is especially designed for your little princess. 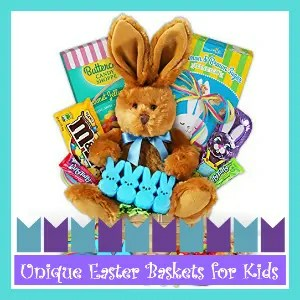 This is a large Easter basket filled with traditional and non-traditional Easter treats, various toys and Princess themed gifts. Pack of 3 ice cream cone bubbles. Key lime white chocolate chip cookies. Boardwalk crunch (nuts, marshmallows, chips and pretzels covered in chocolate). Large chocolate covered pretzel rod. This is the perfect Easter Basket for your princess. They run out early, so order NOW.